In our last blog post we covered the third in the Holiday Select series, in this one, we cover the fourth and final (as of 2018) release, the Holiday Select 2014 Limited Edition bottle from Jack Daniel’s. The shape of the bottle is a bit different than the earlier Holiday Select bottles as the Jack Daniel’s signature is towards the top, instead off on the right side as with the earlier bottles. The labelling on the bottle is a mixture of white and gold, and reads Limited Edition 2014 Jack Daniel’s Single Barrel Holiday Select Small Batch. The holly berry from earlier releases is missing. In the photos below you’ll see two different bottles, one still boxed up, and one that I drank. For the 2014 Holiday Select release, I took my Family to Lynchburg, TN for the Jack Daniel’s barrel tree lighting and bottle signing event. I purchased a case of the 2014 Holiday Select bottles, and had those signed by Jeff Arnett and Chris Fletcher (Assistant Distiller). I gave most of the bottles away as gifts to friends and family, but kept three bottles for myself, one of which I chose to drink. That would be the empty bottle in the photos below. The 2014 bottle is 48% Alcohol, or 96 Proof, down from 98 the year before. You can find it online at a few retailers, best price/stock I found was $199 as of December 10, 2018. In our last blog post we covered the second in the Holiday Select series, in this one, we cover the third, the Holiday Select 2013 Limited Edition bottle from Jack Daniel’s. THIS JACK DANIEL’S LIMITED EDITION IS FROM BARRELS WE USED TO CRAFT OUR HOLIDAY BARREL TREE. FOR 2013, OUR MASTER DISTILLER, JEFF ARNETT, HAS SELECTED WHISKEY WITH THE RICK CHARACTER OF TOASTED OAK AND SPICE NOTESDRAWN FROM OUR HANDCRAFTED BARRELS. WE HOPE IT BRINGS A SPECIAL QUALITY FOR YOUR HOLIDAY SEASON. The shape of the bottle is the same as the 2011 and 2012 bottle. Like the 2012 bottle, labelling has some gold instead of all white. The holly berry leaves are also in green, instead of the white as in 2011. Also differing from the 2011 bottle, the text on the back of the bottle now matches the text on the back of the box. The 2013 bottle is 49% Alcohol, or 98 Proof, up from 90.4 the year before. Finding this one online appears a little more difficult, I found one on ebay listed at $179 as of December 8, 2018. In our last blog post we covered the first in the Holiday Select series, in this one, we cover the second, the Holiday Select 2012 Limited Edition bottle from Jack Daniel’s. THIS JACK DANIEL’S LIMITED EDITION IS FROM BARRELS WE USED TO CRAFT OUR HOLIDAY BARREL TREE. FOR 2012, OUR MASTER DISTILLER, JEFF ARNETT, HAS SELECTED BARRELS WITH A LIGHT OAK CHARACTER, ALLOWING THE SOFTWARE NOTES OF VANILLA AND CARAMEL TO SHINE THROUGH. WE HOPE IT BRINGS A SPECIAL QUALITY TO YOUR HOLIDAY SEASON. The shape of the bottle is the same as the 2011 bottle, but the labelling has some gold instead of all white. The holly berry leaves are also in green, instead of the white as in 2011. Also differing from the 2011 bottle, the text on the back of the bottle now matches the text on the back of the box. The 2011 bottle is 45.2% Alcohol, or 90.4 Proof, down from 100 the year before. Finding this one online appears a little more difficult, I found one on ebay listed at $165 as of December 5, 2018. In 2011 Jack Daniel’s released the first (of 4) in their series of Holiday Select bottles of Jack Daniel’s. The limited edition bottles were essentially Jack Daniel’s single barrel bottles, but this collection consisted of whiskey from the barrels used in the Holiday Barrel Tree built near Lynchburg Tennessee’s town square. I was fortunate enough to collect all 4 in the series, 2011, 2012, 2013 and 2014. Stay tuned for posts about each of them as we get into this 2018 holiday season. THIS JACK DANIEL’S LIMITED EDITION WHISKEY IS FROM THE BARRELS WE USED TO CRAFT IN OUR 2011 HOLIDAY BARREL TREE NEAR THE TOWN SQURE IN LYNCHBURG, TENNESSEE. THE WHISKEY HAS BEEN SELECTED FOR ITS PERFECT BALANCE OF OAK AND VANILLA CHARACTER BRINGING A SPECIAL QUALITY TO YOUR HOLIDAY SEASON. WE HOPE YOU’LL FIND ADDED WARMTH IN THE KNOWLEDGE THAT A PORTION OF THE PROCEEDS FROM THIS BOTTLE WILL BE USED TO HLP U.S. SERVICE MEN AND WOMEN TRAVEL HOME DURING THE HOLIDAYS. THIS JACK DANIEL’S LIMITED EDITION IS FROM BARRELS WE USED TO CRAFT OUR HOLIDAY BARREL TREE NEAR THE TOWN SQUARE IN LYNCHBURG, TENNESSEE. THE WHISKEY HAS BEEN SELECTED FOR ITS PERFECT BALANCE OF OAK AND VANILLA CHARACTER BRINING A SPECIAL QUALITY TO YOUR HOLIDAY SEASON. The 2011 bottle is 50% Alcohol, or 100 Proof. You can find it online for sale from a couple of retailers, lowest price I’ve found is $199 as of December 3, 2018. The Jack Daniel’s Legacy Edition Series is a new line of bottles, with the First Edition, being released in fall 2018. The bottle sells for about the same price as your average 1/5th (750ml) of Old No. 7, and can be found in markets all over the United States (from our own experience we have found it in Nebraska and Missouri so far). This First Edition bottle commemorates the colorful history of the Jack Daniel’s label, often associated with the tried and true Black and White label. This green and gold trimmed label was used some time before 1904, and has a nice red background behind the Old No. 7 emblem. The Jack Daniel’s inside is bottled at 86 proof. It’ll be interesting to see what additional bottles are released under the Legacy Edition Series bottles. In late September 2018 Jack Daniel’s announced a new Special Release Tennessee Whiskey, Single Barrel Heritage Barrel. The "Heritage Barrel" expression of Jack Daniel's Single Barrel was crafted with a low temperature, heavy toasted barrel which created a light but rich char full of deep flavor. A lower 100 proof entry proof allows our grain bill to assert itself creating a special Tennessee whiskey with notes of light baking spices, vanilla, and toasted oak with a long, lingering finish, aged to perfection at the top of one of the highest elevated barrelhouses, 1-09, on Coy Hill. What emerges is a flavorful and rich Tennessee Whiskey. Master Distiller Jeff Arnett and his team of whiskey makers created a truly unique whiskey for this special release of Jack Daniel’s Single Barrel. The “Heritage Barrel” expression of Jack Daniel’s Single Barrel was crafted with a low temperature, heavy toasted barrel which creates a light but rich char full of deep flavor. A lower 100 entry proof allows our grain bill to assert itself creating a special Tennessee Whiskey with notes of light baking spices, vanilla, and toasted oak with long, lingering finish. Aged to perfection at the top of one of the highest elevated barrelhouses, 1-09, on Coy Hill. What emerges is a flavorful and rich Tennessee Whiskey that we think you’ll appreciate. Aroma – Rich vanilla and sweet baking spices on the nose. Taste – Warm notes of vanilla and caramel give way to dark fruit and spice. Finish – Lingering finish of rich oak spice with a subtle grain sweetness. I’ve looked at the local haunts here in the St. Louis area to try to locate the Heritage Barrel, but I’ve yet to find anyone who has it. Lucas Liquors tells me (via twitter) that they might be available here before Christmas. The gentleman at 141 Liquors tells me that his distributor says they won’t see any before May. Based on this info so far, I doubt they’ll make it to Missouri at all considering the release is limited to 200 total barrels. I was fortunate enough to only stumble upon it online after doing some searching one weekend. I found it on a website called SipWhiskey.com, and while their communication/customer service left some things to be desired, and their packing of the bottle made me seriously question if it would still be intact when I opened the box, I was pleasantly surprised that I received bottle in perfect shape. Unfortunately their website says they are out of stock now, but perhaps they will get it back in stock again soon. In my previous blog post I talked about the Tennessee Tasters’ High Angel’s Share Barrels, in this post I cover the second release in the series, Hickory Smoked. The bottle is labelled as "Tennessee Whiskey Finish with Charred Hickory Staves". Smoked Hickory Finish – a fully matured whiskey finished with charred hickory staves for a smoky flavor at 100-proof, just in time for the 30th annual Jack Daniel’s World Championship Invitational BBQ which is held in Lynchburg on Oct. 27. Selected by Master Taster Marsha Hale and available late-October. This selection was from master taster Marsha Hale, whom according to her Linked In profile has worked at Jack Daniel’s for almost 31 years. I have yet to decide if I will try these bottles myself. I do have two of each, with the original intention of keeping one and having the other for trading to fill my collection with missing items. If however I could come across some other bottles, I would likely try one out myself, only time will tell if that happens. In October 2018 Jack Daniel’s put out a press release announcing a new Tasters’ Series of bottles/releases. I won’t go into the full details of the press release, you can read it here, but I do want to document the releases as I acquire them! Towards the end of the month they released the first two bottles in the series, High Angel’s Share Barrels and Smoked Hickory Finish. This post is about the High Angel’s Share Barrels release. High Angel’s Share Barrels – whiskey barreled in January 2013 which offered an unusually low yield, presenting a unique and deep concentration of flavors with a dark color at 107-proof. Selected by Assistant Master Distiller and Master Taster Chris Fletcher. Available early-October. These releases, are limited to around 24,000 bottles, and only available at the Distillery and in select stores in Tennessee. This had caused me to start looking at making a trip to Lynchburg to pick up some bottles for myself, but family events the past few weekends have prevented me from being able to make the 5-6 hour drive there (plus another 5-6 hours back). This past Friday I found out that some fellow coworkers of mine were on their way to Nashville for a weekend getaway, so I reached out to them to ask them a huge favor, to do some hunting for me while they were there. I sent them a screen shot of the two new Tasters’ bottles, and asked them to see if they could find them while they were there. Lucky for me they did! A big shout out to K&K for picking them up for me. Here are the photos of the High Angel’s Share Barrel bottle. One of the things I want to do here on this blog is document the various Jack Daniel’s collectables, primarily bottles, that I’ve managed to acquire over time. This is the first post in that series. In 2017, Jack Daniel’s announced/released a new bottle in the Gentleman Jack product line, called The Limited Edition Gentleman Jack, often referred to as the Time Piece. The bottle markings on the packaging of the bottle are reminiscent of the pocket watch that Jack Daniel carried around. I had trouble trying to locate the bottle here in St. Louis, checking all the local liquor stores, along with the big box Total Wine locations. In March of 2018 I was driving to Georgia for an autocross event with a buddy of mine, and stopped to buy a car in Murfreesboro Tennessee. While at the dealer, I asked my sales guy where I could find a decent liquor store, so that I could try to find the Time Piece. He sent me a few streets over, and I found a bottle of Tennessee Rye which I hadn’t seen before, but no Time Piece to be found. It was getting late in the day, and I was hoping to try to swing by the Distillery (my buddy who drove me to Murfreesboro had headed down there while I was doing paperwork on the car), but I wasn’t sure if I could make it down before the White Rabbit bottle shop closed. I decided I would try another liquor store on the way over to Lynchburg. At this store I asked the guys behind the counter if they had a Time Piece bottle. One guy said yes he did, but it was in his private collection, and not for sale. I looked around the store, picked up something there (can’t recall which bottle) and then checked out. While checking out he mentioned that there was a place near Shelbyville, called Celebration Liquors that might have the bottle. It was on my way to Lynchburg, so I decided I was for sure stopping when I got there. Upon arrival I looked around the store, but couldn’t find the bottle. I asked the girl behind the counter if she knew anything about the bottle, but she didn’t know what it was. If I recall correctly, she did however offer to call the owner, and he told her the bottle was right behind her. We both had missed it sitting there on a shelf behind the counter. Score! I was able to purchase one bottle of the Gentleman Jack Limited Edition bottle, seen above on this post. What this hunt made me realize though, was that I wasn’t the only one out there collecting Jack Daniel’s gear. I realized that people collected, and even collected extras, so that they could “trade” for other items to add to their collections. A few short weeks ago, I stopped by Total Wine on my way home from work one day, something I occasionally do just to see if they have anything JD related in stock that I don’t have. This time, they did, they had Time Piece bottles, and multiple! I picked one up, and walked to the register, paying about 50% of what I paid for the bottle in Shelbyville. By the time I got home I started kicking myself for not buying a few, when I stopped by that Total Wine again they were completely out. I ended up checking another TW location the next weekend and picked up 3 more bottles so that I could start creating a stock of items that I could trade in the future! If you’re looking for a Gentleman Jack Limited Edition Time Piece bottle, check out my Hunt List to see if you have something I need, maybe we can trade! I started out my journey with Jack Daniel's at a young age. My father would have a Jack and Coke, every night, after work. One and done, but as well as I can remember, it was, and still is, a nightly ritual. I might have snuck a taste as a kid, but I wasn’t a kid who drank in high school, it wasn’t until college until I really had my first drink. I was in a fraternity at a small engineering school in Missouri, it was in a small town, with a very skewed guy to girl ratio, so even though joining a fraternity had never crossed my mind prior to college, it made sense to me and built me into who I am today. While you might think there is a lot of drinking in a fraternity in college, it isn’t required, and it was never forced upon me. So when I did sit down to have my first drink, it was to a great surprise to my fraternity brothers. There was a group of guys, I can still remember the room, that were partaking in a 1/5th of Old No. 7, I sat down one evening and asked for my own glass, they were floored. I didn’t plan to start drinking Jack Daniel’s that evening, but I ended up doing so, and thus setting my journey into the world of Tennessee Whiskey. While I don’t have the first bottle of Jack Daniel’s I purchased, I do have a couple of bottles that I purchased during my college years. I wish I could go back in time and buy 2, at the time I didn’t buy to collect, so the bottles from back then are all empty, but they are still mine. I’ll be documenting those bottles in blog posts in the future here on this new blog. 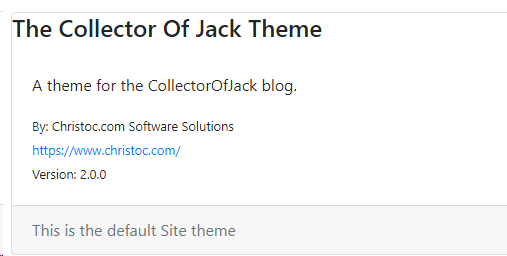 Why CollectorOfJack.com? I’ve been collecting Jack Daniel’s bottles for many years now, and while I am proud of my collection, there are definitely some gaps that I would like to fill. I’ve managed to acquire some extras over the years, and I’m hopeful that with this blog I’ll be able to find other like minded folks, who perhaps have bottles to fill my gaps and possibly need some of the extras that I have in my collection. I decided earlier this year that I was going to branch out from my DotNetNuke (DNN) roots and start working on other open source applications, this decision came over many discussions with folks at the 2018 DNNSummit. As soon as I got home from Denver, I got myself setup with a demo site running on Orchard, then I did absolutely nothing with it after that. Fast forward a few months and I had a new idea for a blog that I wanted to do, not wanting to go with my usual DNN + Engage Publish suite of tools, like every other blog I use, I decided that I would install Orchard CMS on Microsoft Azure. After one false start (I installed Orchard CMS initially), I got Orchard Core up and running on Azure and a blog setup pretty easily. Once I did though, I decided that I needed to change the look of the default “The Blog Theme” that was included with Orchard Core, because I was working with the source code in Visual Studio it was fairly easy to track down where “The Blog Theme” was, it was a separate CSPROJ file in the Orchard Core solution. Rather than simply modifying that theme however, I decided I would clone the theme, rename it, keep the MIT License intact, and start my “own” theme for use within Orchard Core. To do that, I followed the following steps. Open up the Orchard Core solution in Visual Studio 2017. Right click on that OrchardCore.Themes folder and choose to Add Existing project, find your CollectorOfJackTheme.csproj file. Open up the Manifest.cs file and rename any of the properties you want to adjust. 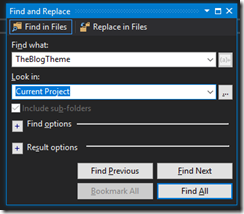 Press Control-Shift-F in Visual Studio and do a “find” for “TheBlogTheme”, limit the scope of the find to Current Project to make your results easier to manage. 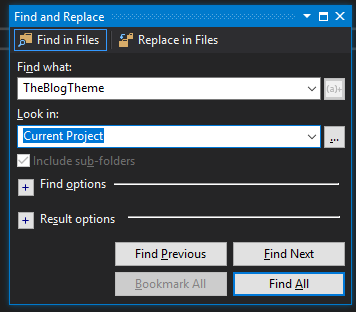 Basically you want to find every instance of “TheBlogTheme” in your current project and replace it with the name of your new project. After that, you can start making changes/adjustments/etc to your new project so that you can customize your theme. Once you’ve created your new theme, and made any necessary changes, you’re going to want to try to deploy that theme. 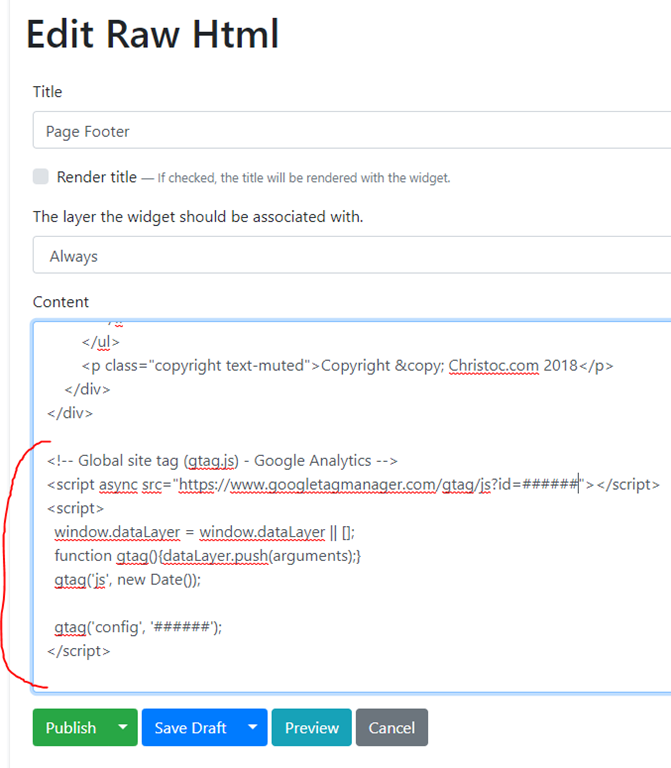 I had hoped it would be as simple as hitting Publish in Visual Studio to get the theme deployed out to my Azure instance and selectable, but this was not the case. In order to get things deployed and accessible, you need to make one final change. 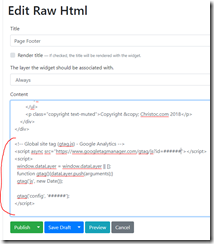 Right click on OrchardCore.Application.Cms.Targets, and choose Add Reference. From there you should now have a NEW theme available to you under the Admin/Themes/Active Themes page. You can simply choose to Make Default, and apply the theme. Stay tuned for future blogs around my experiences using Orchard Core! Exceptional Results in Lincoln Nebraska! Wow, what a week! 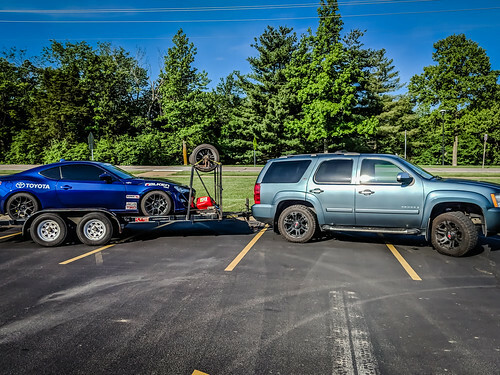 Last Wednesday I loaded up the SpecFRS onto a borrowed trailer and left St. Louis the following morning to drive to Lincoln Nebraska for spring Nationals, 4 days of racing. The drive out was uneventful, spent it trying to listen to old “The Forward” podcasts, I’m not a huge podcast guy, even though I used to have my own back in the day, but I’ve been trying to listen to Armstrong’s podcast from the beginning, long drives are about the only time I can actually listen to it. The TireRack has announced that they have sold their 100th SSC kit! I have some insider knowledge that says they sold it before the Spring Nationals, but the announcement just came out today via the SoloMatters newsletter (hey look at that screenshot, who is that?)! If you haven’t tried SSC out yet, you are missing out! This class is the future of Solo! Speaking of Spring Nationals, stay tuned for our write up, we’re still trying to get caught up, but it should be up later this week! After this date you will no longer be able to make requests to ClubReady end points with the HTTP protocol. All requests need to be modified before this date to utilize the HTTPS via TLS 1.2. Earlier versions of TLS (1.0, and 1.1) are no longer supported due to security vulnerabilities. ClubReady will be testing this change in production, for 2 hours, starting at 1pm Central Time on Wednesday June 27th, 2018. This will allow us to implement the change, and log any requests that come in during that time so that we can identify requests that haven't been properly updated. If you haven't changed your calls by this date, any calls during this time frame will fail. That question is best answered with another question, do you utilize the ClubReady API in any way? Typically this is done via a third party piece of software, an integration, that puts Leads from your website into your ClubReady application, or perhaps a Mobile app that uses the ClubReady for scheduling. If you haven't developed a custom tool to add leads into ClubReady, or a custom website to perform sales within ClubReady's API you likely don't have anything to worry about. Why is ClubReady making this change? To further enhance security of our systems, and your data, we are proactively making this change. What if I'm using a different API? If you are using http://www.clubready.com/api this change will impact you just the same. We also recommend that you change your API path to be https://www.clubready.com/api/current/ for all future requests. In short, WOW. What an amazing weekend. I went into the weekend hopeful that I would drive the car well, and that I would be able to prove to myself that I can hang with the big dogs. 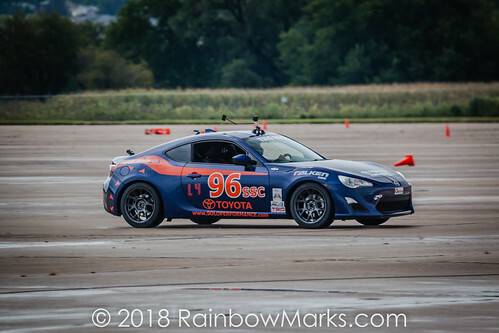 I’ve been autocrossing for a long time (with a few gaps in between) and while I’ve had some spurts of random success outside of St. Louis, I have never felt confident that I could do it repeatedly. The idea of SSC, a Spec class in Solo, was very intriguing to me, as I wanted to try to rule out “I don’t have the right car”, from the equation. The weekend started out with me leaving St. Louis just after 1pm due to a company all hands meeting. I ended up getting down to Arkansas Aeroplex in Blytheville just after 5pm on Friday evening. I parked the car and met up with my co-driver for the weekend, Kevin Dietz out of Washington state. 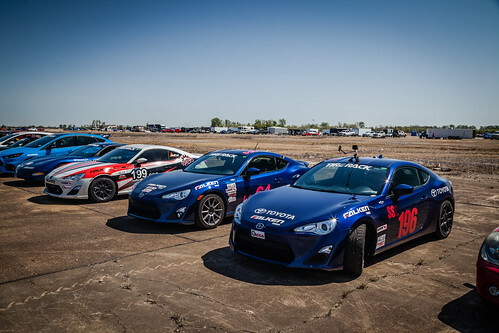 We discussed if there was a chance to do practice starts, or take a shot at the practice course. The practice starts were wrapping up, so I quickly unloaded the car and headed over. We ended up taking 7 practice runs between the two of us, and found the car to be rather pushy.